We decided that pleading the fifth on these awesome law firm mobile apps was not the right thing to do. 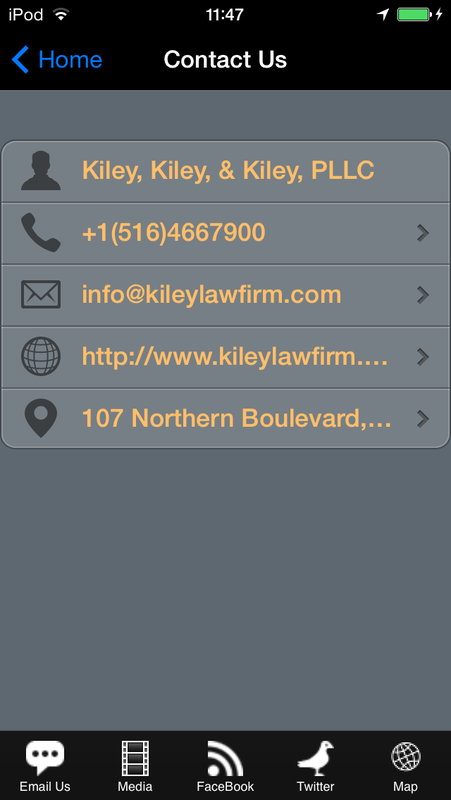 In fact, there’s no logical reason not to share what the best law firms are doing to make a mobile app. 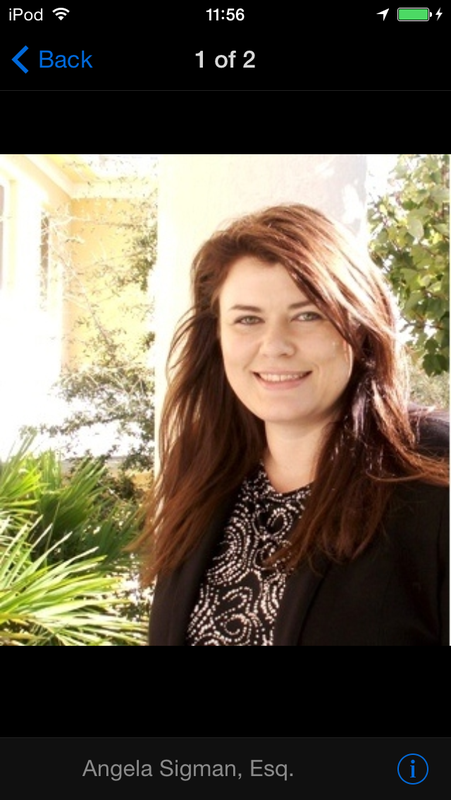 Being a lawyer is an interesting business because you don’t have the inventory that most companies can sell on mobile apps, but this doesn’t mean that there isn’t a great opportunity to reach out to those more technologically savvy people and send them testimonials, law firm information and guides for dealing with the law. In fact, the primary reason all lawyers need to make a mobile app is because it gives current and past clients a chance to save your information and either bring it up in case they need it again or send it to a friend who is in need of a personal injury or criminal lawyer. Quick communications like this are what bring new clients into your law firm. It’s pretty easy to do so as well, with law firm mobile templates already pre built in the iBuildApp design marketplace. 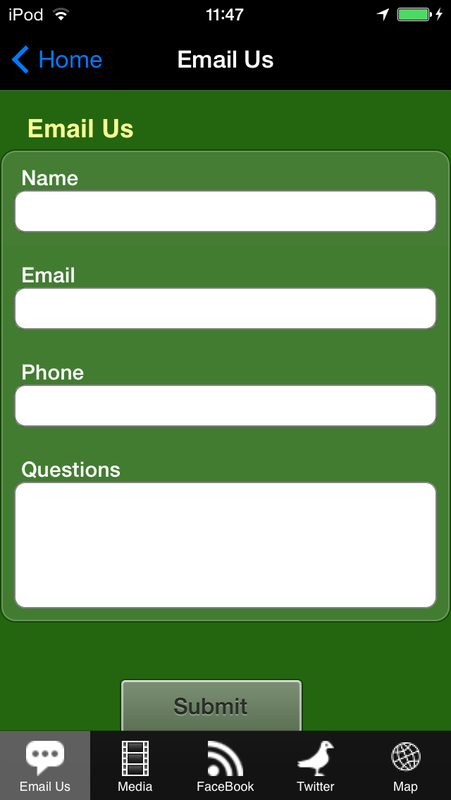 Just grab one of your favorite templates and get started making a law firm mobile apps. But where do you go after that? Obviously not all lawyers are content creation masters. Let’s take a look at some of our favorite law firm mobile apps to help you understand exactly what you need in terms of pages and buttons. 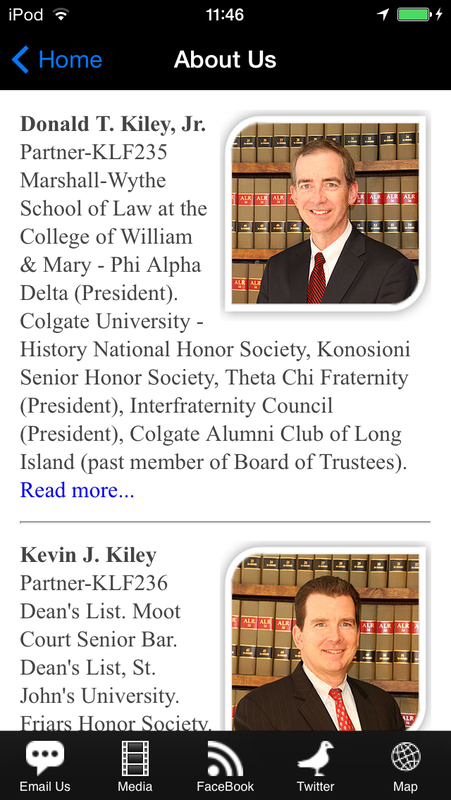 The Kiley Law Firm is my favorite of all the law firm mobile apps on this list, because it includes pictures of the lawyers on the homepage. This creates a personal connection to the clients instead of just looking like the company is run by a bunch of faceless lawyers. 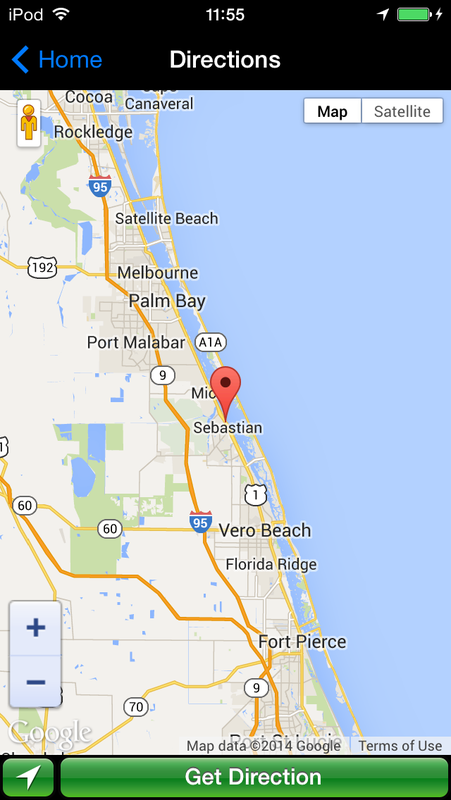 The mobile app offers a Map page in case someone needs to quickly stop by for an appointment after work. 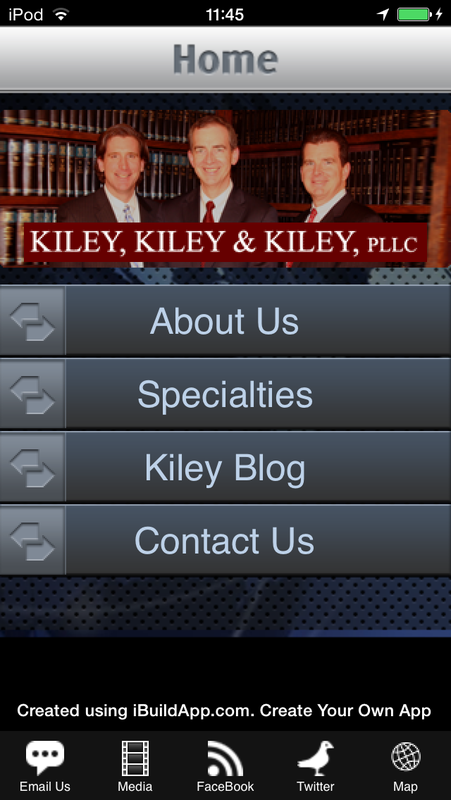 I also enjoy the Kiley Law Firm’s mobile apps media page, where they include videos to guide people through the legal process and help them understand what their options are in terms of different situations. 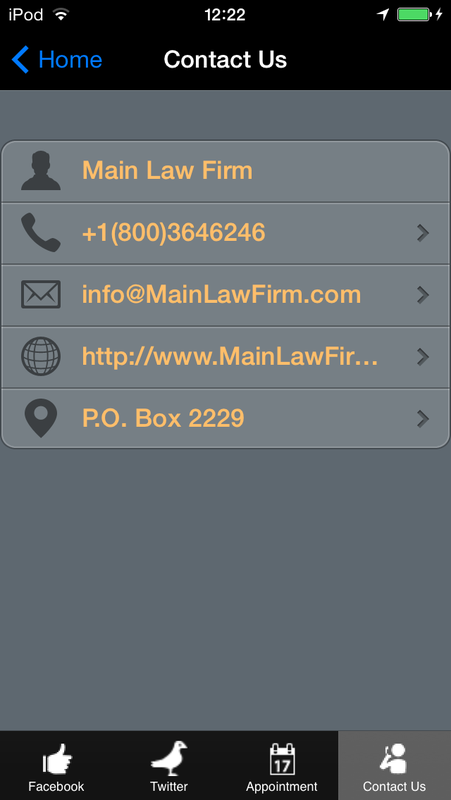 Along with a Specialties page and social media integrations, this is the ideal law firm mobile app. 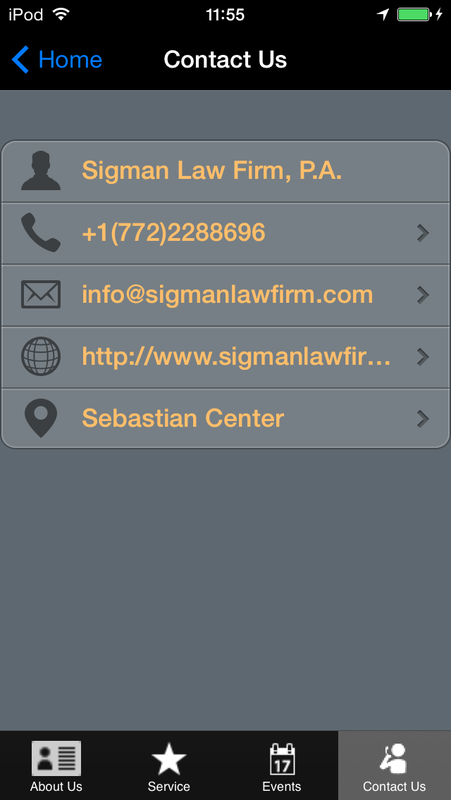 The Sigman Law Firm mobile apps are simple and sleek, with a few components that help it stand out from the other law firm mobile apps. To start, the app provides pictures of the law firm offices, along with images of the lawyers. Once again, this makes the law firm look more approachable. 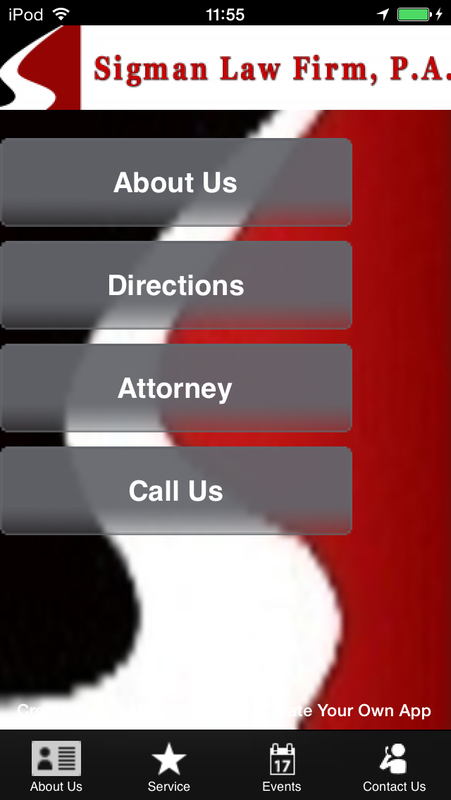 It also offers an About Us page, in addition to the Services page, to explain the history of the law firm. 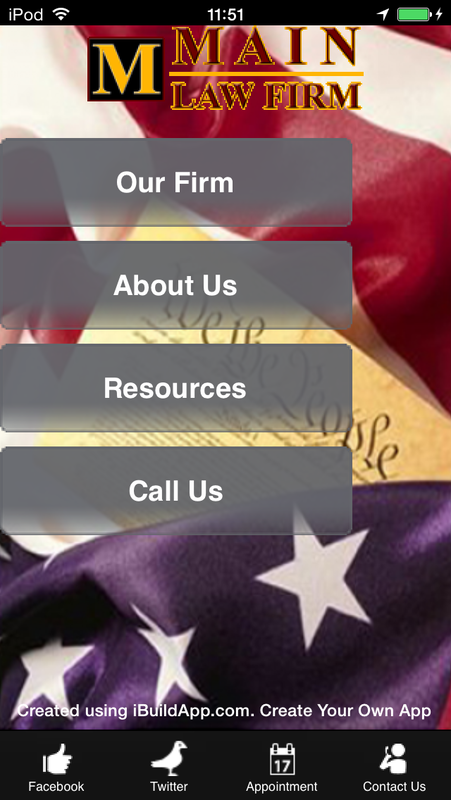 The Main Law Firm apps have sleek, patriotic design to create a connection with the customer. Images are essential for law firms, because people want to know that you are friendly, but you also fight for the rights of the people in your community. The app includes a resources page for people to learn more about the law and a Contact page with all the contact information needed to improve your law firm’s business. 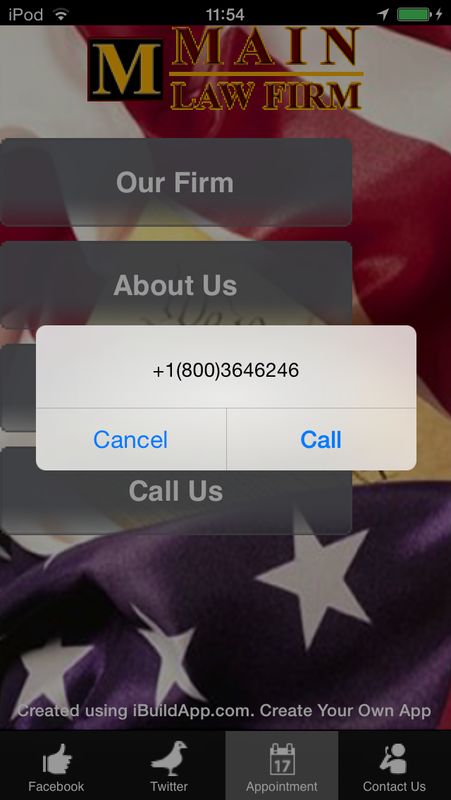 If you have any questions about how to make a law firm mobile apps please let us know in the comments section below. If you are ready to bring your law firm into the digital age, take a look at the law firm mobile apps' templates and get started.